← Children’s Hour: Brown Bear, Brown Bear, What Do You See? It’s time for the Literary Giveaway Blog Hop again. I love this giveaway hop. A lot of the hops around are centred on YA fiction, so it’s great to see some giveaways of books which are more of the types of books I would like! 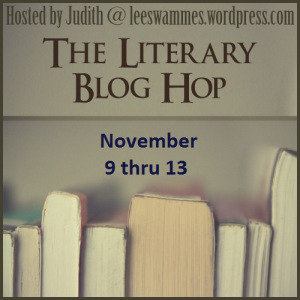 The Literary Giveaway Blog Hop is hosted by Judith @ Leeswammes’ Blog. It’s one of my favourite blogs so I recommend you go and have a look even if you’re not taking part in the hop. This time I’m giving away a copy of The Memory Keeper’s Daughter from my own shelves. This giveaway is only open in Europe, sorry. I’m doing something a bit different this time. Everyone who enters gets one free entry. Then we’re going to play a game for extra entries. Below are the first lines of five literary novels. For each book you can guess correctly I will add an extra entry. If you’re not entering but would like to play the game then you can leave your answers in comments which I will switch to moderated for the time of the hop. Fill in your answers on the form below, you’re answers will only be visable to me. Have a look at the linky list to enter more giveaways. Thanks for being part of the hop! I read and enjoyed this book. Some lucky winner!